What types of Accidents fall under this category? Substantial changes have been brought into law in New South Wales on and from 1st December 2017. The Motor Accident Injuries Act 2017 has introduced a new compulsory third party greenslip scheme. This new scheme is not retrospective. It applies to all motor vehicle accidents on and from 1st December 2017. Benefits that are applicable under this new motor accidents scheme can be found in the Motor Accident Injuries Regulation 2017 and the Motor Accident Injuries Amendment Regulation 2017. No fault statutory benefits are available to anyone injured in a motor vehicle accident. Benefits are available for loss of earnings, payment of treatment and care expenses, payment of funeral expenses. Statutory benefits will cease after six months if the injured person has sustained minor injuries or was at fault. Statutory benefits will generally be available for loss of earnings for up to two years where the injured person was not at fault and the injuries were not minor. A minor injury is defined as either a soft tissue injury or a minor psychological or psychiatric injury. No damages will be recoverable for minor injuries. In other cases, common law damages will be available for specified categories of economic loss including past and future loss of earnings and non-economic loss (that is, pain and suffering) provided the injured person has at least 10% whole person impairment. A claim for damages must be made within three years after the accident but it cannot be made before twenty months from the date of the motor vehicle accident unless it relates to a death or at least 10% whole person impairment. A claim for statutory benefits will be required to be made within three months after the motor vehicle accident. The first entitlement period is up to 13 weeks from the day of the motor vehicle accident. The injured person can claim up to 95% of the person’s pre-accident weekly earnings. The second entitlement period is for weeks 14 to 78 after the motor vehicle accident. The injured person can claim up to 80% of the pre-accident weekly earnings when totally incapacitated and a difference between 85% of the pre-accident weekly earnings and the person’s post-accident earning capacity whilst partially incapacitated. The third entitlement period is after week 78. The injured person can claim up to 80% of the pre-accident weekly earnings when totally incapacitated and a difference between 85% of the pre-accident weekly earnings and the person’s post-accident earning capacity whilst partially incapacitated. Please note that weekly payments to injured persons most at fault or with minor injuries ceases after 26 weeks from the date of the accident. 104 weeks unless the person’s injury is the subject of a pending claim for damages (whether or not the insurer has accepted liability). 156 weeks if the person’s injury is the subject of such a pending claim and the degree of any permanent impairment of the injured person is not greater than 10%. 260 weeks if the person’s injury is the subject of such a pending claim and the degree of whole person impairment is greater than 10%. The maximum weekly payment period ends if any such pending claim for damages is withdrawn, settled or finally determined after the period of 104 weeks after the motor vehicle accident. An injured person is entitled to statutory benefits for the reasonable cost of treatment and care, reasonable and necessary travel and accommodation expenses associated with their treatment and care. No statutory benefits are available under the new scheme for gratuitous attendant care services provided to the injured person. No statutory benefits for loss of capacity to provide gratuitous domestic services. Cessation of statutory benefits after 26 weeks to injured adult persons who are at fault or injured persons with minor injuries. Under the Act, a common law damages claim will now only be available for specified categories of economic and non-economic losses and only for those sustaining something other than a “minor injury”. The definition of economic loss clearly excludes medical treatment and care expenses. This means that such expenses can no longer form part of a damages claim. Gratuitous care is no longer even claimable as part of the statutory benefit claim (s.3.25). There are also very significant restrictions placed on statutory benefit claims for paid domestic services required for a claimant’s dependants. Non-economic loss is only available if the claimant is assessed above 10% whole person impairment. Non-economic loss damages are, as is currently the case, capped at $521,000. Past and future loss of earnings/earning capacity is capped at 2.5 x average weekly earnings which is currently $3,853 net per week. Consult a doctor and obtain a medical certificate. Contact the greenslip insurer of the vehicle at fault. Provide all details of the accident to that greenslip insurer who will be able to take your claim over the phone. 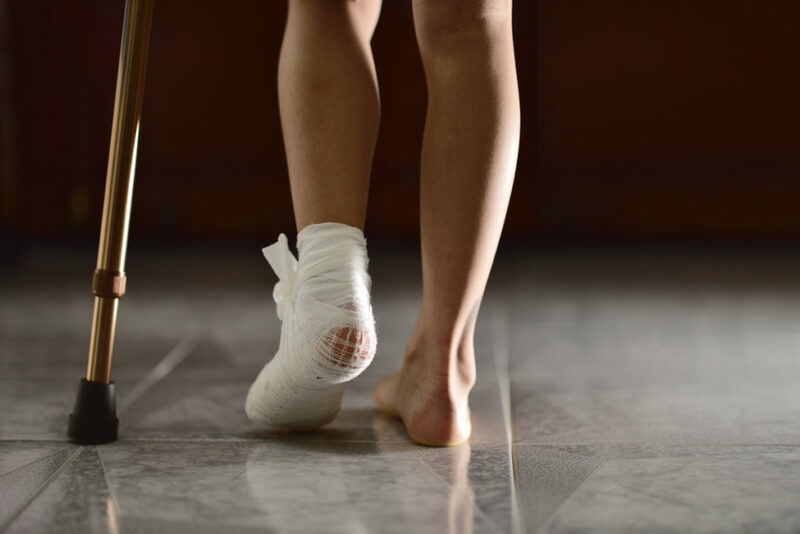 If your injuries are minor or the accident was your fault, you may be able to receive statutory benefits including loss of wages and medical expenses for up to six months. If your injuries are not minor and the accident was not your fault, you may be able to receive statutory benefits for up to 2 years. immediately to discuss your rights and to ensure that you understand your entitlements to weekly payments, medical treatment expenses and the possibility of receiving damages for your pain and suffering. If we act for you it will be on a no-win/no-pay basis, meaning you don’t pay Taylor & Scott any costs unless and until you win your case.